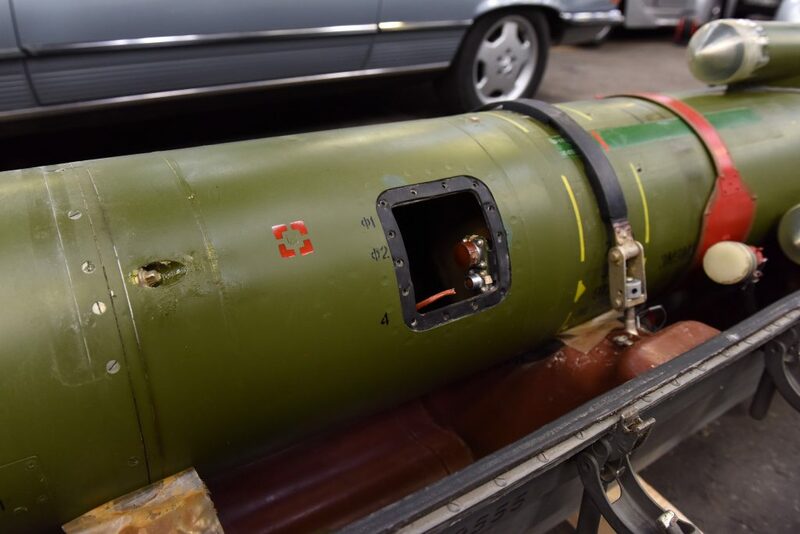 A mystery Russian missile could sell for an explosive house when it goes under the hammer. The 19ft Soviet SA-6 SAM missile was built in 1976 and was designed to have been fired from a vehicle in the former Soviet Union to protect the country’s ground forces from air attack. After this, its anonymous owner restored it to perfect condition before it fell into the hands of the air and space collection of rocket engineer Professor Alexander Roudakov, from the former Soviet Union. 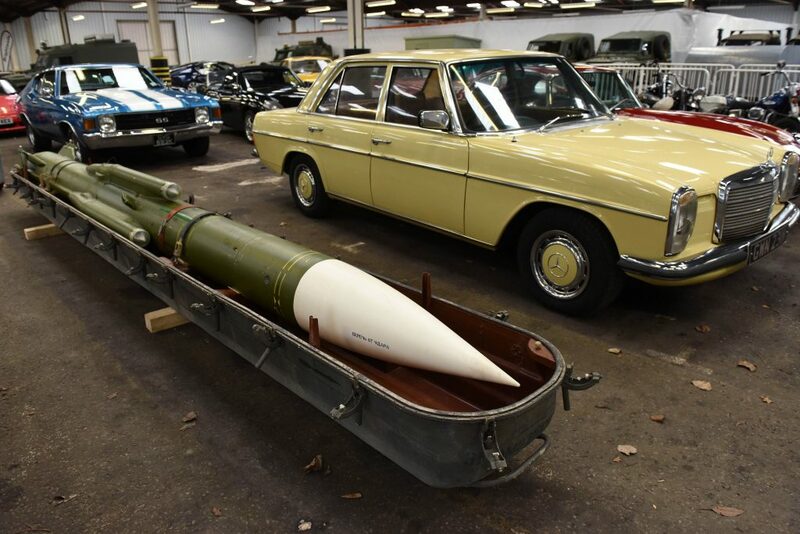 The one tonne ‘surface to air’ missile, which is thankfully now inert after its nine stone warhead was disarmed, is set to be sold by Brightwells auction house in Leominster, Herefordshire, next month with an estimate price of £4,500. 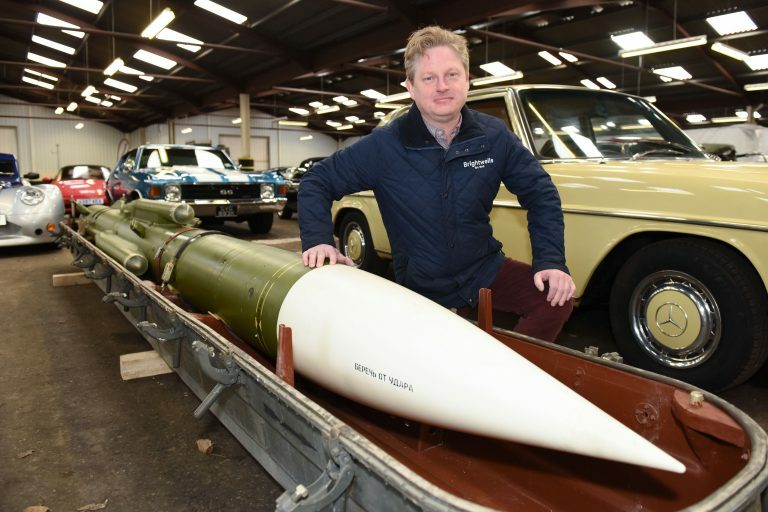 Toby Service, Brightwells auctioneer and valuer, said: “The missile is fortunately disarmed, as the electronics and warhead have been taken out. “It is very well preserved, but the vendor wishes to remain anonymous, as he is a keen private collector of many unusual items. “It is not clear on which part of the former Soviet Union the SAM originates from but we do know that it arrived in the UK approximately four months ago. “I can tell from personal experience it is incredibly heavy, especially in the case that is in as well – we’ve actually had to use a forklift truck to move it around. When live, if fired the missile would have been able to travel at a maximum range of 15 miles, a top altitude of 46,000 feet and at speeds of up to 1,345 mph. It will be sold in a lot alongside 120 classic cars. 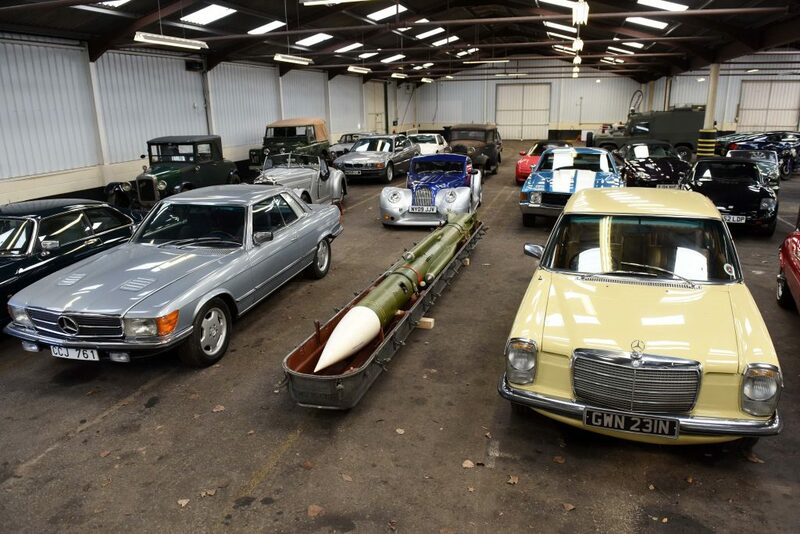 Toby added: “The missile has been entered rather unusually in the classic car auction. “Who should buy something like this?